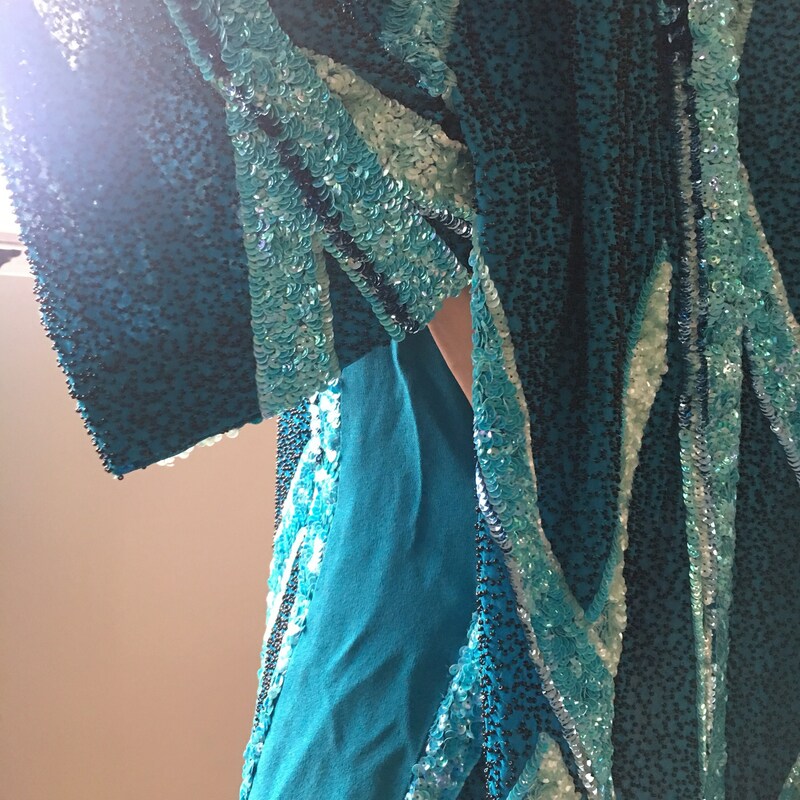 Mini vintage dress from the 60-70s, in shades of turquoise green sequins. Can be worn as mini dress or tunic over pants or skirt. Beautiful embroidery work! One little chip in the back which is barely visible. Size about 40 french. 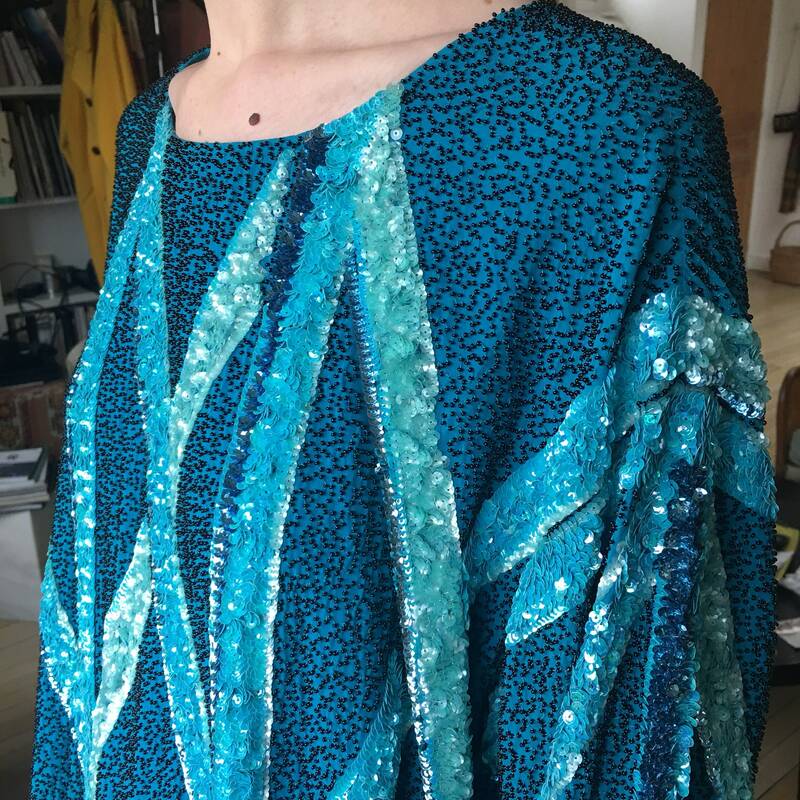 It has a pocket. Great look!